The most important fact about the Samsung Galaxy Tab is: it’s real. You can go out and purchase one right now, and be using it today. Contrast that with a myriad of devices that have been announced, but have not materialized, and already the Samsung Galaxy Tab has an edge over its competitors. The Samsung Galaxy Tab runs Android 2.2, which makes it a very stable and smooth running device, with access to thousands of apps that can do everything from compose music to manage your documents online. This also means that it doubles as a Kindle reader, Facebook device, Video Player, and MS Office document editing machine. The Samsung Galaxy Tab is a bit small for a tablet, with just a 7 inch screen. 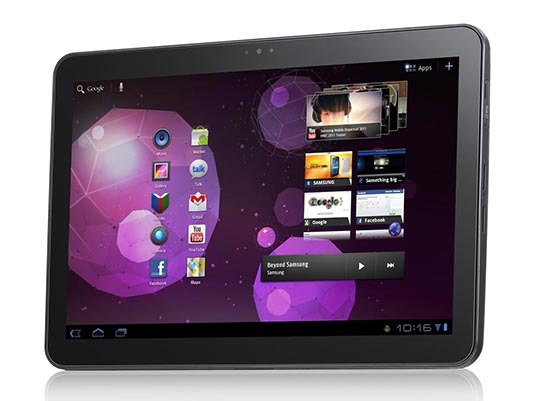 Many users may prefer this smaller size to the other tablet choices, which are typically around 10 inches. The Galaxy can fit in coat pockets, medium-sized purses, or your glove compartment with ease. Some users have even been comfortable putting it in their pants pocket, but how viable this is depends on how tight your pants are. Its screen resolution is almost the same as the IPad, despite its smaller size, which means that its pixel density is superior to the IPad. The 16:9 aspect ratio makes it nice for viewing movies in the wide-screen format. Though, a larger screen would provide a better movie experience overall; so if you plan to use your tablet primarily to view movies on the go, the Galaxy is probably not the best device for you. Even though it is more like a super-sized smart phone, the Samsung Galaxy Tab comes with double the amount of Ram as the IPad (512 MB vs. 256 MB), and it is run by a processor with similar power. It handles Android and apps with a breeze. 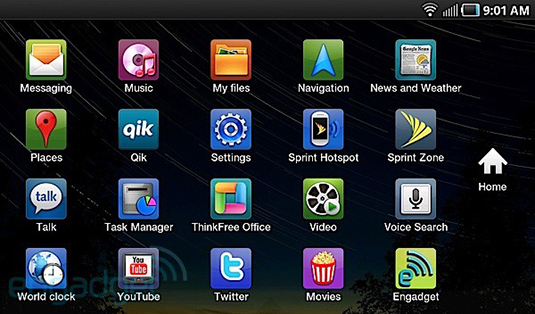 The Samsung Galaxy Tab is purely a data device, using cellular data to connect to the Internet. It does not come with a voice plan, but you can use your data plan to run Skype and Google Voice, and make calls that way. It might not be the most convenient phone system, but it will save you roughly $40 if you can forgo the voice plan. The Samsung Galaxy Tab sports an impressive battery life, with users reporting going all day, watching movies, browsing the Web, and playing games. Officially, the Samsung Galaxy Tab can run High Definition video for 7 hours on a single charge, or run a variety of apps for about 10 hours. That’s an impressive span, and can get a user through at least one work day without having to worry about finding a socket to plug into. This new Gadget will be available in stores form 10th August 2011. 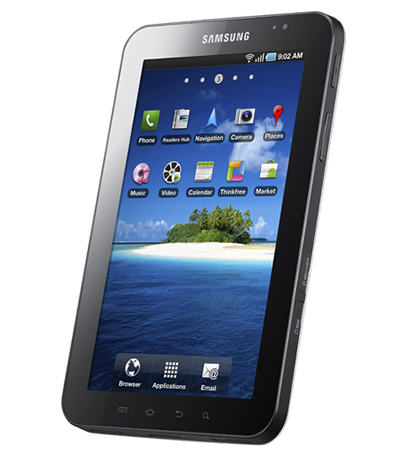 Samsung Galaxy Tab 750 will be launched in Delhi, India at 12 PM according to Indian time zone. If you are looking for a small, convenient device that won’t die on you for hours, and will provide you with Internet just about anywhere you go, the Samsung Galaxy Tablet is likely your best option at this time. The world of tablets is very new and quickly evolving, so this could change in the near future. But for now, the Samsung Galaxy Tab is very high on my list of tablets now available on the market.